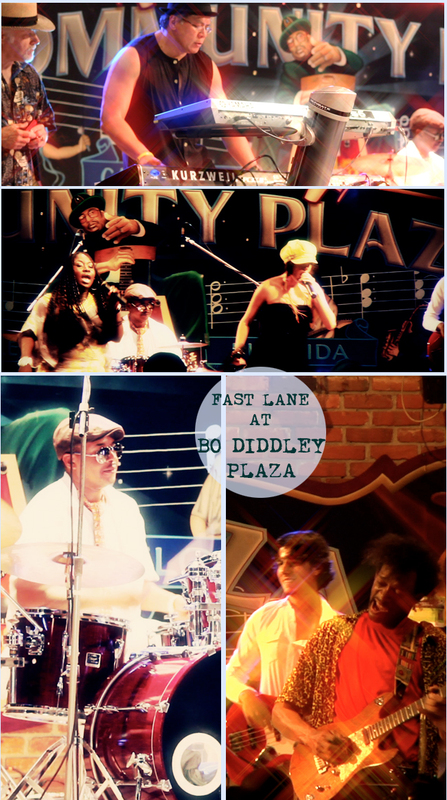 Jeff and Matt (of Platinum Digital Video) filmed Fast Lane's fun and funk show at Gainesville's Downtown Bo Diddley Plaza. Their show was a part of the Friday Night Summer Showcase. Check out the 2 videos below which include's Skyntyte's "Ain't Nobody" and their high-energy closing number.